This timely analysis of today's economic realities relates the headlines to the long term causes from which they spring. Why did we have a worldwide financial crisis in 2008? Is stimulus the answer, and what are its risks and potential returns? Why are our investments so unprofitable? Why are our citizens struggling to find work? Why do we repeatedly confuse effort with results? 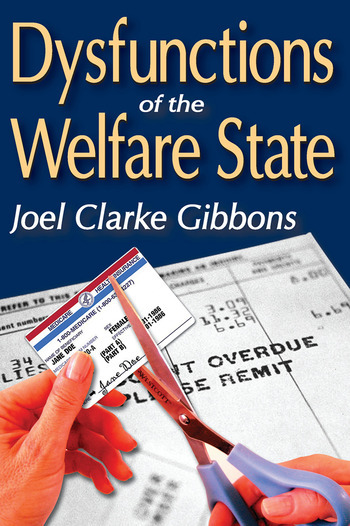 The author finds the answers to these questions in the dysfunctions of the welfare state. Economics is the science of the creation and exchange of value, but Gross Domestic Product (GDP) confuses value with the creation and exchange of "goods and services." Along the way, GDP has become a measure not of value created, but of effort expended and of costs incurred. This confusion has become the cornerstone of policy manipulation of "the economy," because it is very easy to incur costs, though not so easy to create value. Policymakers are not eager to correct this discrepancy because it is easier to manufacture costs through brute force than to produce results that have real value. This book pins down the major contributors to these distortions in a number of specific areas, including education, science and engineering, hospitals and other medical facilities, the public utility transmission grids, and in the trade deficit. It also pursues the distortions caused by short-sighted public policy in the capital markets. The book concludes with a discussion of market efficiency and inefficiency leading to the conclusion that policy intervention into the capital markets reduces their capacity to allocate capital productively. The author addresses this broad topic from the unique perspective of someone who has contributed both to the theoretical analysis and to the actual practice of markets. 7 Where Are the Economic Assets for Tomorrow?